The Old Town Predator MK with Minn-Kota Motor is designed to deliver the perfect platform for fishing and on-water sporting. The Predator MK includes all the same innovative features as the Predator 13 and MX, but also has the Modular Console System. Three different consoles can easily be swapped out to completely customize your fishing experience. The Minn-Kota Console offers complete hands-free navigation and trolling with 45 lbs of variable thrust. With forward and reverse, Predator's saltwater grade power console delivers and keeps you on the fish all day. The XL includes the Element seating system, featuring 3 seating positions for traveling, fishing, and standing up. The slip-resistant Exo-Ridge deck ensures that you and your gear stay dry and secure. The side-mounted paddle storage, dual tackle holders, dual-tip rod holders at the bow, side-mounted retainer bungees, molded paddle rest, removable mounting plates, and a large bow hatch with the Click Seal cover make this the ultimate fishing kayak. 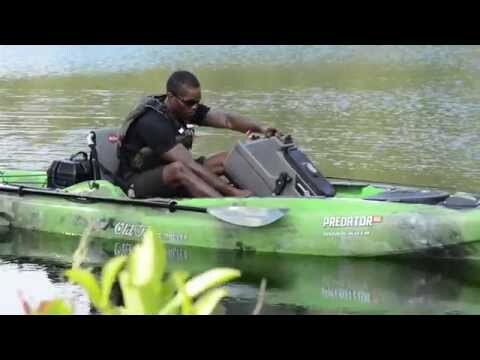 The Predator XL with Minn-Kota Motor comes factory-ruddered. Battery not included-Use sealed lead acid or absorbed glass mat battery Group 24 size or smaller. Optional consoles include the Utility Console, a removable sonar electronics management system, and the Exo-Ridge Console, a flush mount insert to open up the deck for wide-open big game fishing. Love this thing, stable and quick on the water. Wish I would have bought one sooner than later. I did as much research online as I could on the Predator MK, but there's just not a whole lot of information out there yet - it's mostly about the XL with the Minn Kota motor fitted. I called a couple of distributors in Texas, but it wasn't until I called ACK and they were able to answer all my questions that I made the purchase. I have to say, I was a bit nervous spending this kind of money on a kayak and having it shipped to my house because I've had many things damaged in the mail before; however, these guys are amazing. From customer service to the packaging, everything was outstanding. Now - to the kayak. I purchased the Urban Camo MK, with a Carlisle Predator Fiberglass Angler Paddle to match, white YakAttack BlackPak and Scotty baitcaster rod holders and anchor lock from ACK. I've had a few chances to take it out on the lakes here in East Texas before Winter comes and have had great experiences in the MK. Stability: 10/10, hands down. It's the most stable kayak I've been in. I can easily throw out the anchor, stand up, fold the chair out of the way, and start casting. The kayak is wide. That, and it's hull design, make it super stable on the water. Even when the bass boats come screaming by, their wake is bothersome, but there's no risk of me falling in. Ease of Use: I give this a 9/10. Everything it was designed to do, it does extremely well. It's well laid-out for fishing with the various seat positions. The fish-finder mount point on the console is in a great location - and the fish finder battery storage inside the console is a great feature. The front hatch is plenty big for a Yeti soft cooler and more. The rear well is well suited for the provided battery box with a YakAttack BlackPak behind it (and the supplied bungees hold down the box sufficiently). What I will say about this kayak is that it is heavy! In order for me to get it out of my truck and onto the dolly I take out the battery and console. The dry weight is 117 lbs, but the battery easily gets that closer to 190lbs. The console, while light-weight for what it does, is around 20 lbs with the fish-finder battery, and various fishing gear inside. Because the kayak does way more than any of my previous ones I don't see the weight as a show-stopper. If you want something easily manageable by one person, you won't get all the accoutrements that the MK has to offer (or you can build/buy a custom trailer that you can just back down the boat ramp). Design: 10/10. The hull design and rudder allow for a tight turn radius at speed. If you're navigating tight turns at slow speed - such as on a timber-filled lake - it's a bit more difficult, but still way more convenient than having a paddle in one hand and a fishing rod in the other. I personally love the look of the kayak - especially the Urban Camo version I purchased. The battery and console plug-ins are a much-appreciated design point. 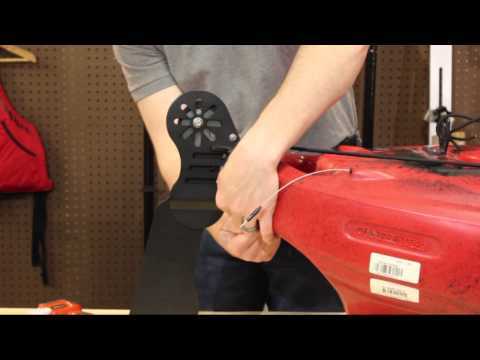 No worry of wires dangling inside the kayak or having an electrical connection that isn't waterproof because the factory has taken care of the routing for you. The USB ports inside the console are a nice feature for charging your phone if you're using it to run Navionics all day (that seems to be a battery drain for me). The 6 removable mounting plates are an awesome feature. No longer do you have to drill into your hull or need backing plates for rod holders/camera/anchor mount. These things are strong. I use one behind me for the anchor lock and have had no issue with it anchoring me down in high winds/waves. If you're considering purchasing a reliable, stable, well thought-out fishing kayak, this is the one. Wow! What a great fishing kayak. I got it a couple months back and finally had the chance to take it out yesterday. This kayak is extremely stable. I was cruising down a river standing up the whole time. It also has plenty of space for my fishing needs. The motor is really quiet and can actually bring the kayak to around 4.5 to 5 mph at max speed. The fact that you can go in reverse is also great! The seat is super comfortable, too. I was on the water for 5 hours and had no discomfort at all. I was deciding between this kayak and the pro angler 14 , and I am very happy that I ended up going with this one. It ended up being a little more expensive than the pro angler 14 because I had to purchase a marine battery. I highly recommend getting a c-tug with this kayak. It will make your life a lot easier. Just to give you an idea of how I transport this kayak. I got the 600lb boat trailer from Haul-master, which fits this kayak perfectly. Once I got to the dock I simply unloaded the kayak onto the c-tug and dragged it into the water and undone the c-tug in the water. It worked the same way once I was done with my adventure. It's super easy and requires minimal effort. I also got the predator extreme Supernova fishing light to go with it. I spent about 3 hours installing it. It works and looks great! Customer service was excellent from Austin kayak. 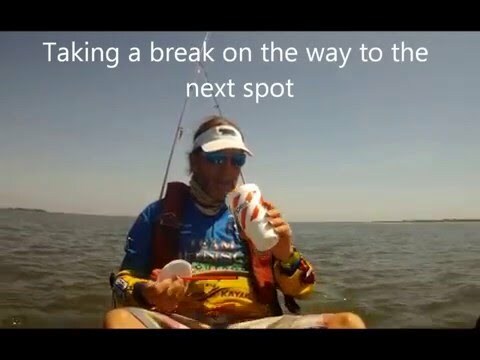 I am going to be using ACK for all my kayaking needs from now on! Boat is great I love it the only complaint I have is that it has some deep scratches and a chunks taken out of the plastic from shipping. Purchased the XL with the motor console last month and I've had zero buyer's remorse whatsoever. This is my first fishing kayak (yep, not a purist I guess) despite being interested in the sport for a long time. Last summer I suffered a very brutal arm injury that makes paddling anything for any real distance quite the task. When I saw the Predator XL with the MK console for the first time I couldn't contain my excitement, and it has definitely not been a letdown. I've had it out nearly a dozen times already (primarily fishing for smallmouth in lake Ontario) and can't boast enough about the roominess, battery efficency, stability and tracking. Fish finder and transducer installs went without a hitch (Lowrance Elite-4x chirp that I had on my aluminum v-hull), the mounting plates for accessories are extremely convenient, and the dry hatch is enormous. To top it all off, Austin Kayak was one of the best online shopping experiences I have ever had. Seriously, they called me shortly after my order to ensure everything went well and to see if I had any questions! I was under the impression that customer service like that died a long time ago. Bravo. Loading the boat on my truck's bed rack has been quite the science project, but after a great deal of practice I've finally perfected it. I ended up making a ramp out of a 2x10 and using that to slide it up onto the forward rack, then shifting it back onto the rear one. Now I just need to figure out a plan for putting a blind on this bad boy for waterfowl season! 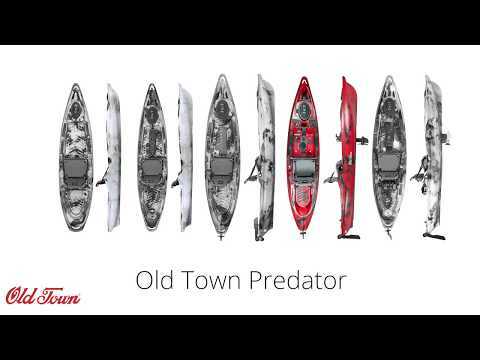 Just purchased the Old Town Predator XL with the Minn-Kota Motor Base. Handles like a dream and trolling motor only used half a charge after 6 hours of continuous used. Made for a great hands free fishing trip. ACK staff was super helpful in getting me set up with all the accessories needed for my fish finder transducer mount. The shipping process went quickly and smoothly. Thanks ACK!!!! A: I would recommend a 12-volt Gel cell battery - http://www.austinkayak.com/products/2811/Humminbird-GCBK-12-Volt-Gel-Cell-Battery-with-Charger.html. Q: Are the motor consoles and the rudder included? Is this a separate purchase? A: Yes, the rudder and the motor are included with this kayak! Q: What's the difference between the predator MK and the predator XL? A: Predator MK will come with a motor and XL will not.